Is McDonald’s Still A Good Buy? McDonald’s Corporation (NYSE: MCD) is an attractive investment owing to its impressive profitability, strong cash flows and notable dividend yield emanating from effective management of world’s largest food chain that offers extensive and diverse menu to its millions of customers. 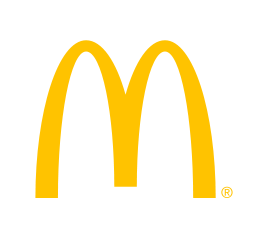 MCD sales have been constantly increasing with FY11 revenues amounting to 27Bln with an ROE of 38.2%. The global contribution in total revenues is notable with European subsidiaries and owned restaurants contributing 40% of overall sales despite the debt recession overcastting most of the European economies. The sales from emerging markets of Asia/Pacific, Middle East and Africa doubled in six years. Consequently, The EPS increased from $4.58 in FY10 to $5.27 ($5.35 for most recent quarter) in FY11. McDonald’s pays an annual dividend of $2.6 per share. The US restaurant industry has been positive recently due to an increase in consumer spending. This sector has shown low responsiveness to the recent economic slowdown in US and around the globe and with mild recovery in place, we expect all the major players increase their bottom lines this year. The only caveat to growth could be tightened credit conditions mainly to finance working capital for medium to small players, however, this won’t be an issue for firms like MCD with over 7Bln of operating cash flow. The international expansion is one area of concentration for the food industry with ample growth prospects in emerging markets. MCD has significant presence in these markets notably in China and India. On the cost side, MCD expects its basket of goods cost to increase by 2.5% to 3.5%. This minimal increase in cost level is not likely to pose any material pressure on the margins and therefore we expect profitability to increase providing support to the free cash flows. MCD does face some competition from its peers mainly comprising of YUM Brands (NYSE:YUM), Chipotle Mexican Grills (NYSE:CMG) and Buffalo Wild Wings (NASDAQ:BWLD) which have recently performed well with increases in their stock prices. Some analysts are getting concerned, however, we do not feel that this could cause major damage for plausible reasons. Primarily, if size does matter then MCD has a much larger network and scale than its peers. Secondly, MCD enjoys both economies of scale and scope at a much greater extent than its rivals with net margin of 20.26% compared to 11.81% for YUM, 9.63% for CMG and 6.31% for BWLD. Therefore, we believe MCD to be fundamentally much stronger than its peers with far greater upside potential. Thirdly, MCD on account of its superior margins is expected to absorb food inflation and other technological changes much better than its peers who are constrained both with size and profitability. Lastly, MCD can capitalize on its ability to attract budget conscious customer with discount offerings and menu diversity that definitely gives it a competitive advantage. The share price performance of MCD has been impressive with a three year compound return of 21.1% compared to 14.9% for DJIA and 14.1% for S&P 500. The firm has a trailing P/E ratio of 16.7 offering a dividend yield of 3.1%. Given the strong market position of MCD and with no material threats to its cash flow, we expect the P/E ratio to stabilize around 14.6 with a forward price of $101.1 offering a 12.5% upside to its current market value. McDonald’s is also cheap relative to its peers. YUM has a trailing PE ratio of 20, vs. 28 for BWLD and 52 for CMG. McDonald’s is also more popular among hedge funds than its peers. Billionaire Jim Simons had nearly $500 million invested in MCD (see his top holdings). We think McDonald’s is a great long term stock pick but given the economic weakness in Europe we would wait for a better entry point in the short term. Is McDonald's A Good Investment? Is McDonald's A Good Stock To Buy?